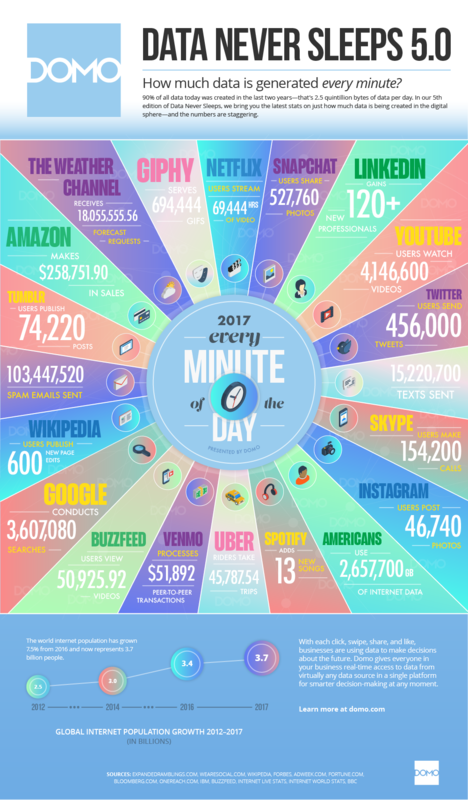 With all the devices an average consumer owns today, the amount of data produced is truly mind-boggling. Consider this: 90 percent of world’s data was generated in the last two years alone1. A file size of a photo is directly related to the resolution of the camera and while the resolution has seen an upward trend over the years, there has been fewer updates in the recent past. Most popular mobile devices today have a 12-14 mega-pixel (MP) rear facing camera and a photo taken on such a mobile phone takes up about 3.5MB of storage space. From a video standpoint, there are several new trends pushing both the quality as well as quantity of videos. While traditional video cameras continue to be used for professional videography; mobile phones, action cameras, drones and action cameras have all added an exciting angle to videography. In addition, powerful processors in small footprint and high-quality cameras have enabled the transition from High Definition (HD) video to 4K video at affordable price points. These high-resolution video formats, however, produce large size files and consume more storage on your device than before. Today, while a 360-degree video shot at a bitrate of 150Mbps would need 5-10GB for a 5 min video, an average sized 4K movie will need 100GB of storage on your device. It’s easy to calculate how an avid traveler or road warrior with a handful of 4K movies and few hundred photos, can easily push 512GB of storage on his/her mobile phone or tablet. According to a poll4 of male and female gamers by mobile strategy agency Tappable, the smartphone is now the preferred gaming device of 42 percent of gamers. Of the rest, 32 percent preferred consoles and 26 percent the PC. Convenience aside, more gaming content and lower price points continue to be the drivers for this shift towards a mobile centric approach to gaming. This is further validated by the Nintendo Switch – a hybrid between console and mobile and the fastest-selling console since its launch in 2017. The Nintendo switch has only 32GB of on-board storage even when some of the most popular video games such as The Legend of Zelda: Breath of the Wild and Dragon Quest Heroes I & II take up 13.4GB and 32GB5 respectively. Set aside 6.1GB6 for the operating system and other software and you will soon be pushing against the storage limits on the device. While an average mobile video game has an average size of 20-30MB, some of the most popular mobile games are running at an average 2GB per game. While most people don’t usually load their mobile devices with games completely, in combination with music, photo and video, it certainly pushes the limits on internal storage. While a power-user does care about the storage capacity on the device, what matters most to this group of users is performance when storing apps in a removable storage device. The demand for expandable external storage in a mobile device has seen a boost since the introduction of Android’s Adoptable Storage Device capability. To help support this demand, the SD association recently defined The Application Performance Class 2(A2) in the SD Physical 6.0 specification. This specification supports functions such as Command Queuing and Cache leading to efficient memory management. This video7 from the SD association further explains the benefits of the A2 performance class. Any expandable external storage solution will have to meet or exceed the A2 specification to have the performance needed to satisfy this group of users. It’s clear that the trend for increasing storage capacity and performance is on the rise with higher quality photo, video and games becoming available with newer consumer devices. Limited on-board storage and high incremental costs of upgrading to a device with larger storage inhibits consumers today. Fortunately, many of the android mobile phones, drones, action cameras and gaming consoles like Nintendo switch support a removable microSD card giving users the freedom to create, consume and share content without the fear of seeing the dreaded message warning them about the lack of storage on their device. Its worthwhile to note that any device which supports the SDXC (Secure Digital eXtended capacity) standard can support card capacities up-to 2TB. Leading smartphones have supported the SDXC standard for a few years now even if they restrict the card capacity to 512GB. However, the new LG ThingQ 5G has announced support for a 2TB removable card and we should expect other device manufacturers to follow suit. To help support this consumer need and to further help unleash creativity for anybody looking to shoot professional quality photos or videos on their mobile device and drones or for anybody wanting to enjoy their favorite video games on-the-go, Micron announced c200-1TB8 microSD card – the world’s highest capacity microSD card at the Mobile World Congress, Barcelona in February this year. This was made possible thanks to Micron’s technology leadership in 3D NAND with CMOS under the array and 96-layer QLC. The card meets the A2 App Performance Class and enhances user experience for Android Adoptable storage7 by enabling application and games installed on the card to load faster. The c200 will be available in densities ranging from 128GB to 1TB and will deliver up to 100MB per second read and 95MB per second write performance speeds9, meeting UHS-1 Speed Class3 and Video Speed Class 30 specifications10. These performance metrics are optimal for video recording of 4K content, game consoles and burst-mode still photography. The card will be broadly available in Q2 2019 and will be price competitively for mass market adoption. Stay tuned as Micron’s rolls out more details around release date and pricing.